Food Sovereignty Ghana (FSG) is deeply concerned about utterances from the Chairman of the Appointments Committee, and First Deputy Speaker of Parliament, Hon. Joseph Osei-Owusu, when the issue of the Plant Breeders’ Bill was raised during the vetting of Hon. Dr. Owusu Afiriyie Akoto as Minister-Designate for Agriculture. We are left with the distinct impression that Parliament is keen on passing the Plant Breeders’ Bill without addressing the fundamental questions raised by Ghanaians from all walks of life, which prompted the former Speaker to call for consultations with the public. FSG condemns the attempts at ignoring all other objections to the bill, with the refrain that it has “nothing to do with GMOs”! We consider them as indicative of the Parliament’s insensitive decision to ignore ALL other objections to the bill. Giving the impression that all opposition to the Plant Breeders’ Bill is because of its connection with GMOs is completely dishonest. Indeed, Parliament is actually in possession of petitions against the Plant Breeders’ Bill that do not even mention GMOs! Equally misleading is the impression that FSG is the main body that stands in opposition to the UPOV model for the Plant Breeders’ Bill. It is not too difficult to understand the intentions behind such pronouncements against FSG, but it is difficult to understand why Parliament is not being transparent in reporting its consultations with civil society, faith-based organisations, and other entities on this important issue. The right question we expect the media to ask our Parliamentarians is whether the only thing they see in the petitions on the Plant Breeders’ Bill is the linkage with GMOs? What about farmers’ rights? What about Clause 23? What about biopiracy? What about smuggling in UPOV under WTO TRIPPS rules which call for simply a “sui generis” Plant Variety Protection that can also adequately protect our local plant breeders? FSG has been calling on Parliament for some time now, to come out with a report on their consultations with various organisations and entities over the Plant Breeders’ Bill. We have similarly called for the publication of the proceedings of our meeting with the Parliamentary Committee on Constitutional, Legal and Parliamentary Affairs, as far back as Wednesday, 4th December, 2013. FSG believes this will be the best way to ensure transparency and assure the public that the right things are being done on their behalf by our Parliament, so far as the Plant Breeders’ Bill is concerned. If we cannot even trust our own elected representatives to accurately report their encounters with civil society organisations, then there is something fundamentally wrong with our democracy. It remains our legitimate expectation that elected representatives of the people report accurately to Ghanaians about their meetings with civil society organisations. We therefore demand unqualified apologies from the chairman of the Appointments Committee, and a publication of the proceedings at the said meeting by Parliament. On the contrary, as a summary of our opposition to the Plant Breeders’ Bill states in our last call on Parliament to publish the report on “consultations” over the Plant Breeder’s Bill, dated here Mar 31, 2016, there is not even a single mention of GMOs! To date, there has been no response.Parliament appears to be deliberately diverting attention away from what we have always considered to be the fundamental flaws in the Bill. Our MPs appear to have conveniently developed a mantra to drown out any opposition to the Bill, irrespective of what it is about, with the refrain, “the Plant Breeders’ Bill has nothing to do with GMOs”! Never mind the burning issues concerning biopiracy, or the criminalisation of farmers! Why are these other issues not being addressed by our MPs? 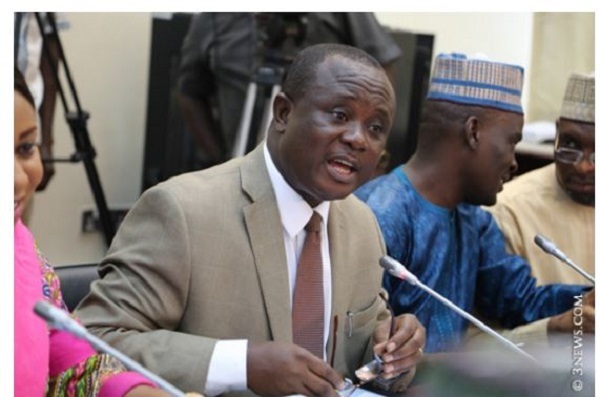 It therefore behoves the Committee to produce an official report detailing the “consultations” they claim to have done for all to know why Parliament still refuses to heed the demands of Ghanaian civil society groups and faith-based organisations that have formally petitioned them. The minimum courtesy one expects is at least a report detailing why their objections have not been taken into consideration. We particularly demand responses to these fundamental objections to the Plant Breeders’ Bill. All of these objections apply equally to the ARIPO Arusha PVP Protocol, a treaty version of the exact same Bill. 1. Ghana can protect plant breeder rights without necessarily opting for UPOV 91. The Bill is modelled on the International Convention for the Protection of New Varieties of Plants of 1991 (UPOV 1991) which is a rigid and an inflexible regime for plant variety protection (PVP). It is worth noting that today out of the 71 UPOV members, only a fraction – about 22 developing countries are members of UPOV. Most of these developing countries (e.g. Brazil, China, Argentina, South Africa) and even some developed countries (e.g. Norway) are not members of UPOV 1991 but rather UPOV 1978, which is a far more flexible regime. Ghana has full flexibility under the World Trade Organization (WTO) to develop an effective “sui generis” system for plant variety protection, i.e. to develop a unique system that suits its needs. In view of this, it is truly unfortunate and even irrational that instead of designing a PVP regime that reflects the agricultural framework and realities of Ghana as some other countries have done (e.g. India, Thailand, Ethiopia), Ghana is choosing to adopt and be bound by UPOV 1991 without any concrete evidence or impact assessment of the necessity and impacts of adopting such a regime. The public has a right to know why our Parliament is insisting on the UPOV-91 model for Ghana! 2. As a member of the International Treaty on Plant Genetic Resources (ITPGRFA) we expect Ghana to take steps to realise farmers’ rights to use, sell, save and exchange farm-saved seeds, to protect their traditional knowledge and to allow their participation in national decision-making. It is thus extremely disappointing to see that the Bill is heavily tilted in favour of commercial breeders and undermines farmers’ rights. The Bill does not allow farmers to sell and exchange seeds. A farmer’s use of farm-saved seeds on his own holdings is limited to “personal use” and regulation by the Minister and may be subject to payment of royalties. 3. The Bill also contains a “presumption” whereby a plant breeder is considered to be entitled to intellectual property protection in the absence of proof to the contrary. Usually the onus is on the applicant to prove that he or she has complied with the necessary requirements and is thus entitled to protection. But in this case there is a presumption in favour of the plant breeder. This “presumption” provision and the lack of an explicit provision that calls for the disclosure of origin of the genetic material used in the development of the variety including information of any contribution made by any Ghanaian farmer or community in the development of the variety creates opportunities for breeders to misappropriate Ghana’s genetic resources using the PVP system and to exploit smallholder farmers. Ghana’s farmers must not be criminalized by Ghana’s laws for practising traditional farming. It is important to note that Ghana is a member of the International Treaty on Plant Genetic Resources for Food and Agriculture (ITPGRFA) and the Convention on Biological Diversity and both these instruments champion fair and equitable sharing of benefits arising from the utilization of genetic resources. Including a disclosure of origin provision in the Bill is critical as it is widely recognized as an important tool to safeguard against biopiracy. Several countries have included such a provision in their PVP legislation and there is no reason why Ghana should not do the same. 4. The Bill also lacks provisions that will ensure that intellectual property protection will not be granted to varieties that adversely affect public interests. The inclusion of Clause 23 hinders the ability to achieve such coherence as it views the grant of PBR as being independent from all other regulations. In certain cases it may be important to refuse to grant PBR over a variety, particularly where national interests are at stake. Such situations include not granting PBR on varieties that are injurious to public health, environment etc., or where the application does not disclose the origin of the genetic material. There is a huge difference between “plant breeder right shall be INDEPENDENT OF any measure taken by the Republic to regulate within Ghana the production, certification and marketing…” and “plant breeder right shall be SUBJECT TO any measure taken by the Republic to regulate within Ghana the production, certification and marketing of material of a variety or the importation or exportation of the material”! The language must be amended to: plant breeder right shall be SUBJECT TO any measure taken by the Republic to regulate within Ghana the production, certification and marketing of material of a variety or the importation or exportation of the material. 6. Any PVP law in Ghana must protect Ghana from biopiracy. We recommend language such that: any entity or individual who provides germplasm resources to any foreign entity, organisation or individual in cooperation to conduct research, shall make an application and submit a national benefit-sharing plan”. FSG is totally in support of the recent call by the Ghana Integrity Initiative to have an independent probe into the bribery allegations in Parilament and we shall be repeating our call for investigations, this time, at a press conference to be organized soon.